ABC entered this year's upfront presentations with plenty to prove. That explains why the channel moved more aggressively than its rivals, relocating a half-dozen shows in the fall and adding five new ones. The Disney-owned network let go of entertainment chief Paul Lee in February. In addition, the frothy, Shonda Rhimes-produced soaps on which the channel has heavily relied, like "Scandal" and "How to Get Away With Murder," have conspicuously cooled ratings-wise. "Scandal" won't be on the fall schedule; it's being held until mid-season due to star Kerry Washington's pregnancy. That means Rhimes' lock on Thursday has been temporarily broken, with a new show, "Notorious," inspired by true-life cases of criminal defense attorney Mark Geragos, sandwiched between "Grey's Anatomy" and "How to Get Away With Murder." Rhimes' company has a whopping five hours in production for ABC. In addition to "Grey's" and "Murder," "Scandal," "The Catch" and the new series "Still Star-Crossed," based on Romeo and Juliet, will all premiere later in the season. ABC's other fall drama, "Designated Survivor," stars Kiefer Sutherland, playing a cabinet member who becomes president after the Capitol is struck by a devastating explosion during a State of the Union address. The network is also betting heavily on comedy, expanding to four-sitcom blocks on Tuesday and Wednesday nights, with an additional hour of comedy Fridays. In doing so, "The Middle" will move to lead off Tuesdays. On Monday, NBC and Fox presented lineups with more limited changes, preaching the benefits of stability. ABC, however, couldn't afford to be quite as cautious. The schedule marks the first under ABC Entertainment president Channing Dungey, who had been the head of drama development. Dungey is the first African-American woman to head one of the major networks. Because pilots are ordered months in advance, Dungey inherited projects put into development prior to her promotion. As a footnote, the new drama "Conviction" co-stars her sister, "Alias" alumnus Merrin Dungey. 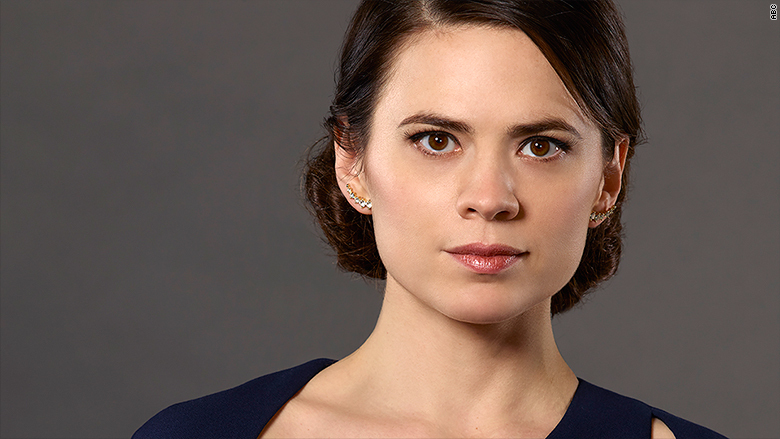 The program stars Hayley Atwell ("Agent Carter") and will follow "Dancing With the Stars." ABC's parent, Disney, has been clicking on all cylinders with box-office hits on the movie side. Still, concerns linger about its TV networks -- specifically ESPN, which also presented to advertisers on Tuesday, and to a lesser extent ABC. ABC renewed the acclaimed anthology "American Crime," and has ordered "When We Rise," a miniseries devoted to the gay rights movement created by "Milk" writer Dustin Lance Black. Disney also owns Marvel, but has enjoyed marginal success bringing its characters to ABC. Dungey said during a conference call that the two units are discussing additional projects, but at this point "Marvel's Agents of SHIELD" is its sole representative, and that series will shift to 10 p.m. in the fall. During the presentation ABC touted some novel viewership metrics, including its claim to seven of the top 10 "most co-viewed entertainment shows," meaning that people watch with family or friends. In her remarks, Dungey said ABC intends to "raise the bar in terms of what audiences expect from a broadcast network." Of course, that was followed by late-night host Jimmy Kimmel, who, in his annual stand-up routine skewering all the networks, compared broadcast TV in 2016 to the Hindenburg in 1937, and poked fun at ABC for ordering "Downward Dog," a sitcom that features a talking dog.